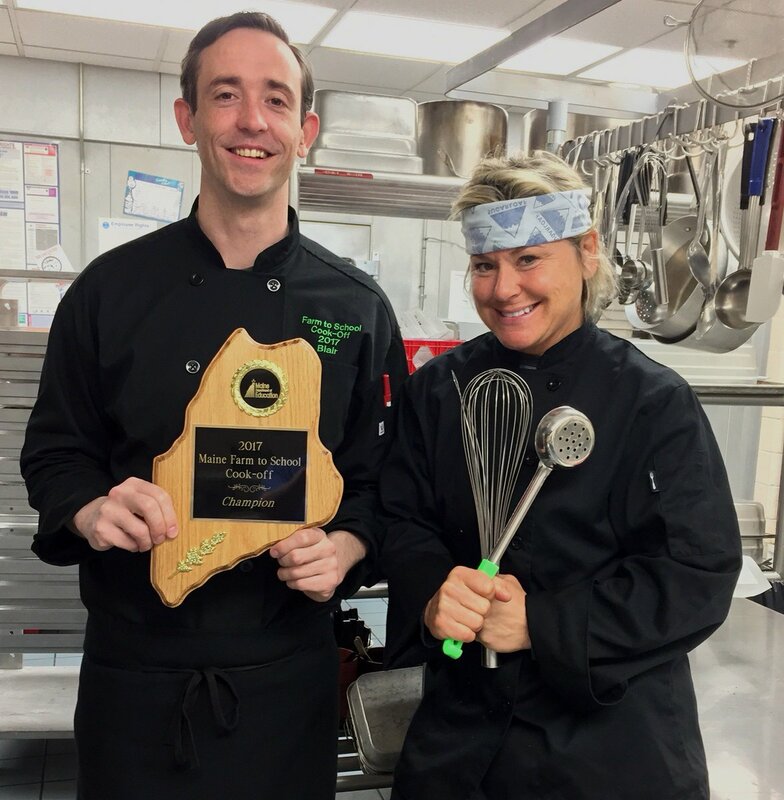 YSD School Nutrition Director Blair Currier and HMS Nutrition Employee Nikki Davoren competed against RSU 52 (Turner) at the State Final Farm to School cook-off last week at Freeport High School and brought home the win! Teams were tasked with preparing a breakfast and lunch meal within a specific time frame using at least two ingredients that are grown, raised, caught or manufactured in the State of Maine while meeting National School Breakfast and Lunch Program requirements. As an added twist, Maine wild blueberries and Maine potatoes had to be used as "challenge" ingredients in the competition. Each team presented their meal to a judging panel consisting of a Freeport High School student, a certified professional chef, and a school nutrition director. Blair and Nikki won with their breakfast of crepes with a wild blueberry and kelp smoothie and a lunch consisting of Atlantic fish tacos, Maine apple salsa and garlic roasted potatoes. All recipes from the cook-off will be published in a cookbook distributed by the Maine Department of Education.